In his State of the Union speech, President Trump blamed children crossing the border for gang violence perpetrated by MS-13 in suburban schools, telling the story of two girls killed by an MS-13 member in Long Island in 2016. 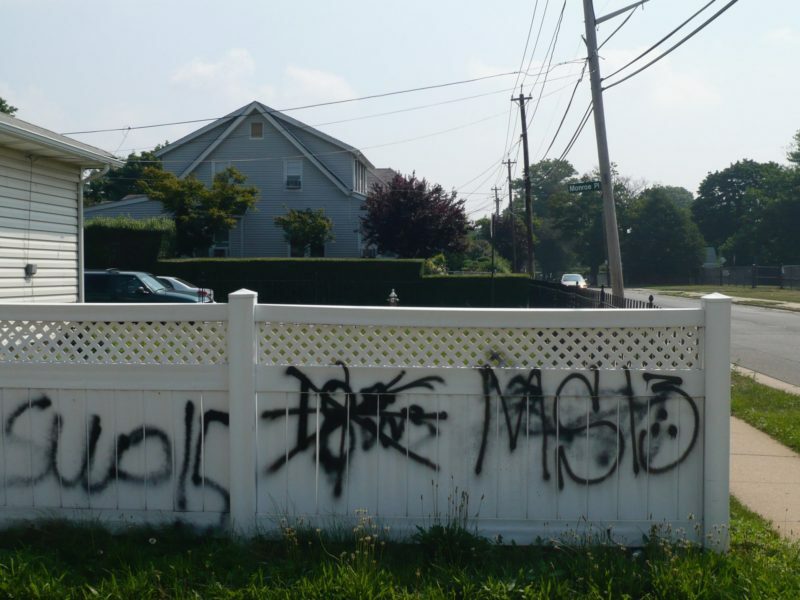 MS-13 is a street gang that has blossomed in towns like Hempstead, Long Island and Langley Park, Maryland. For Trump, the gang is a favorite adversary. He’s called on law enforcement to be “rough” with its members, most of them teenagers who have fled violence in Central America. “They are animals,” he said in a July speech. His frequent focus on this one street gang belies the numbers. Violent crime, including homicides, is at all-time lows in Long Island. That doesn’t mean MS-13 isn’t a problem. Officials say the gang is behind several of the 37 murders there last year. But history suggests Trump’s plan to restrict immigration may only make the gang stronger. 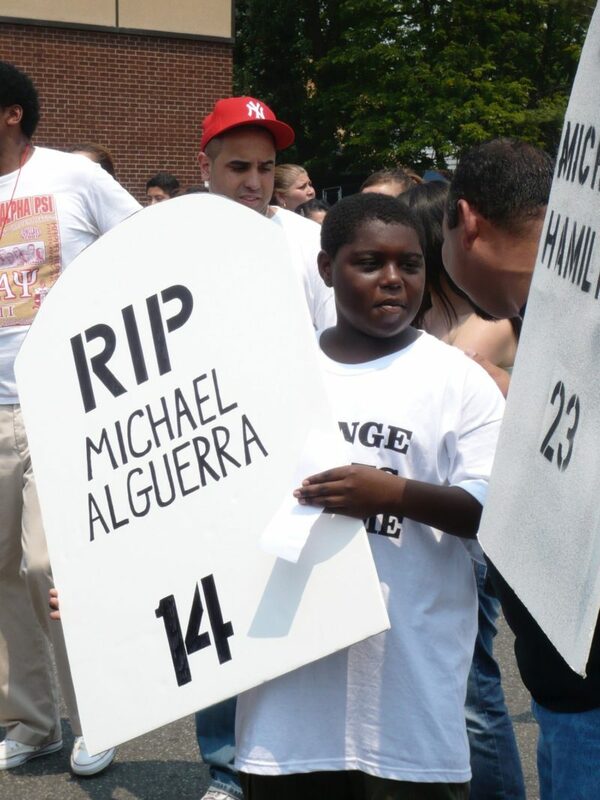 Almost exactly 10 years ago, MS-13 members murdered another child in Long Island, Michael Alguera. 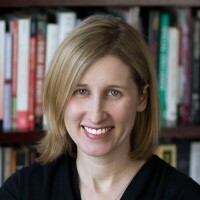 I was working on a book about the gang at the time, trying to learn how the green lawns and picket fences of suburbia had become host to a street gang FBI officials compared to Al Qaeda. Mikey, 15, known as a sweet, happy kid who got along with everyone, had been playing handball outside his school when he was attacked by a group of boys. They stabbed him and stole his music player. He died in the hospital 12 hours later, his parents and two brothers by his side, begging him not to let go. By then, I knew the murder fit MS-13’s pattern: bloody and unsophisticated, motivated not by drugs or weapons dealing but teenage aggression. Local police had shown me the pictures they kept on file of local gang members and explained that though the gang tried to be secretive, its members were predictable. They hung out on the same corners, wore colors that made them easy to identify, and sprung from the same source: the dysfunctional local schools. What the police told me they needed most to help them fight the gangs was help for the schools. What they kept getting were immigration crackdowns. MS-13 is often called a Central American gang, but it was actually founded on American street corners. Refugees from Central America’s civil wars, many of them deeply traumatized, had originally banded together to defend themselves from the street violence in 1980s Los Angeles. The gang only metastasized when the United States began deporting them. In 1996, Congress passed a law requiring the deportation of immigrants convicted of crimes with a prison sentence of a year or more. Tens of thousands of deportees were sent back to El Salvador, a country the size of Massachusetts. The deported began to rival the size of country’s police force of 20,000. In El Salvador the veterans of American jails struck awe in their younger brothers and neighbors, and within months, a new era of violence had hit the tiny war-torn nation. The gangs imported from the U.S. spurred a new wave of refugees. This time, they ventured farther afield than Los Angeles to the places where there were plenty of jobs doing lawn work, cleaning, and construction: the suburbs. The leafy cul-de-sacs were no friendlier than urban L.A. The young gang members I met during the course of reporting my book attended overcrowded, segregated and already violent schools. These children, some who crossed the border on their own, arrived in class scared and lonely. They didn’t speak the language, and few teachers could communicate in theirs. Their parents, if they had any, were often strangers to them after years apart. Educators were doing their best, but had very little to work with to mend the scars — much less educate — this new set of students. The vast majority of immigrant kids resisted the pull of gang life. They were upbeat about their futures, and thrilled to be in the United States, a place where they believed they could eventually find peace and new opportunities. But for some, the gang’s promise of protection and belonging was irresistible. The gang said they would take care of them when no one else had. What the police told me they needed most to help them fight the gangs was help for the schools. What they kept getting was immigration crackdowns. The problem with trying putting up walls to keep gang members out of the country is that many kids aren’t members before they arrive. It’s the experiences they have in U.S. schools and neighborhoods that drive them to gangs. And MS-13 and other immigrant street gangs also include U.S. citizens. One of the young gang members I spent years getting to know was an American citizen. She felt so alienated by anti-Hispanic rhetoric, that she never really felt like she belonged here. The gang always made her feel welcome. Many schools in Long Island are still deeply segregated, resource-starved and struggling to tamp down the violence. Hempstead High School — where Mikey Alguera was killed 10 years ago — has seen ups and downs over the years, but mostly downs. It was on the state’s list of persistently struggling schools for years, with a graduation rate of just 51 percent in 2016. The school district can’t even afford school buses. Last month, Hempstead High’s principal went to the hospital after he was injured trying to stop a fight. Hard-line criminal justice and immigration policies have only added fuel to the cycle of violence. To protect America’s children, police and educators are begging for help to stop the gangs from forming in the first place.